In a post-apocalyptic world of clockwork and steam, it is best to have a trusty blade nearby. 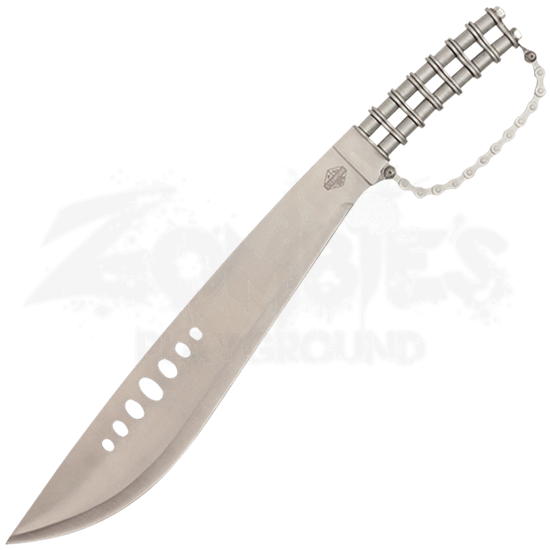 The Steampunk Gear Grip Machete combines the familiar curved blade of a machete with unique steampunk-inspired detail throughout its hilt. 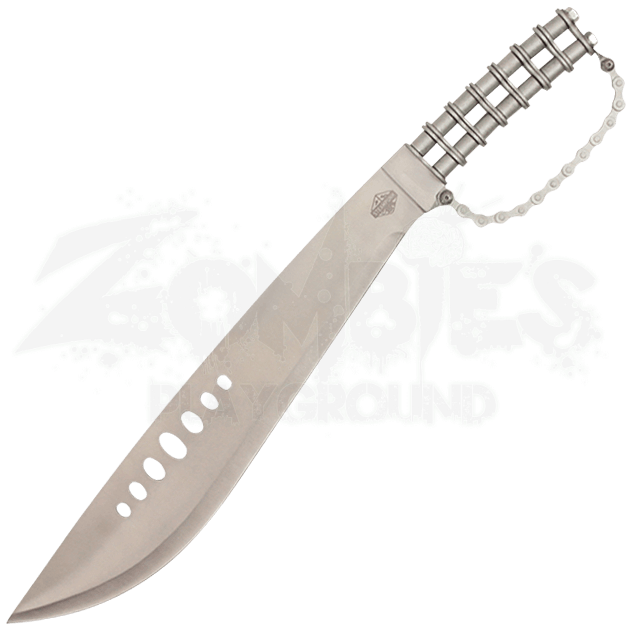 This stainless steel steampunk blade features circular cut-outs upon its surface near the spine of the blade. The machete handle is made up of large bike gears joined together to form a grip, and smaller bike gear detail forms a D-guard over the grip, intended to help protect the hand of the wearer. A matching black nylon sheath is included for safe storage. A unique collectible for any fan of intriguing fantasy weapons, this steampunk themed machete makes a great gift for the steampunk enthusiast in your life and a conversation starting display piece in almost any environment.